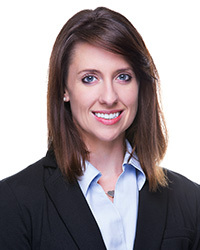 Dr. Heather Disney is a Board Certified Orthopaedic Physical Therapist specializing in rehabilitation of both orthopaedic injuries and pelvic floor dysfunctions. She has experience working with both an adult and pediatric population. Dr. Disney received her Doctor of Physical Therapy from the University of St. Augustine, and an undergraduate degree from San Diego State University. She is also a Certified Manual Therapist, which encompasses various treatment strategies including myofascial release and joint mobilizations. Dr. Disney has been a part of the faculty at the University of St. Augustine since 2013. She is an active member in the American Physical Therapy Association and is also a representative of her local San Diego Chapter.